In the early days of dentistry, oral surgery was performed by barbers! Imagine getting a shave, haircut, and a tooth pulled, all at the same time! Well, oral surgery has improved dramatically since then. Now, thanks to modern techniques and tools, Dr. Ramyar Elyassian at Dental Implant & Laser Surgical Specialists in Tustin, California wants to share some of the reasons why you might need oral surgery. He proudly serves the residents of Tustin and Orange County and he can help you with your oral surgery needs. Tooth removal; you may have wisdom teeth that are crowding other teeth. You may also need teeth removed because you are undergoing orthodontic treatment. Sometimes teeth need to be removed because they are too decayed or diseased to be treated with a filling or root canal. The most common reason your periodontist will recommend tooth removal is if a tooth has lost too much bone support due to periodontal disease. These teeth are usually mobile and not helping your chewing ability. They can also affect the adjacent teeth, through the spread of harmful bacteria from periodontal disease. Placement of dental implants; you may have missing teeth that you want replaced. Your periodontist will place a dental implant during a simple in-office procedure. Over time, the bone will grow around the implant and firmly secure it in place. A dental implant crown is then placed over the implant, and your implant looks just like a natural tooth. Gum recontouring and reshaping; you may have a “gummy” smile which is hiding your teeth. Gum recontouring removes excess tissue and reshapes the normal contours of your gums, enhancing the beauty of your smile. Dental lasers are commonly used to recontour soft tissue, causing less discomfort and less downtime. 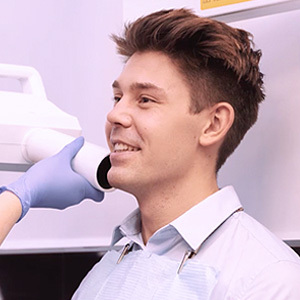 Dr. Elyassian uses state-of-the-art dental technologies including dental lasers, digital x-rays, CT guided implants, and sedation to make sure your appointment is comfortable and relaxing. If you think you might need oral surgery, implant or periodontal services look no further than Dental Implant & Laser Surgical Specialists. For more information about these services call Dr. Ramyar Elyassian at Dental Implant & Laser Surgical Specialists in Tustin, California, serving Tustin and Orange County.